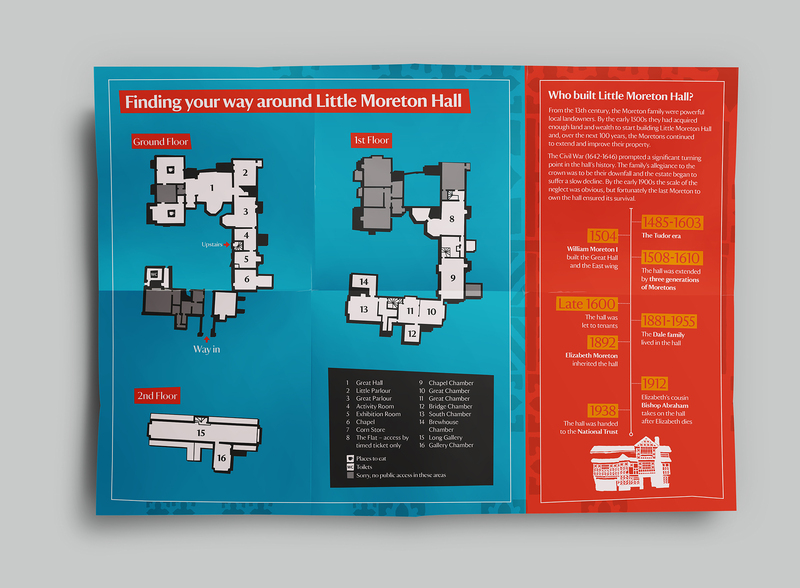 I worked with the National Trust to produce a new welcome leaflet and seasonal event flyers for Little Moreton House. The design needed to work with the existing NT brand guidelines but also retain its own individual identity. 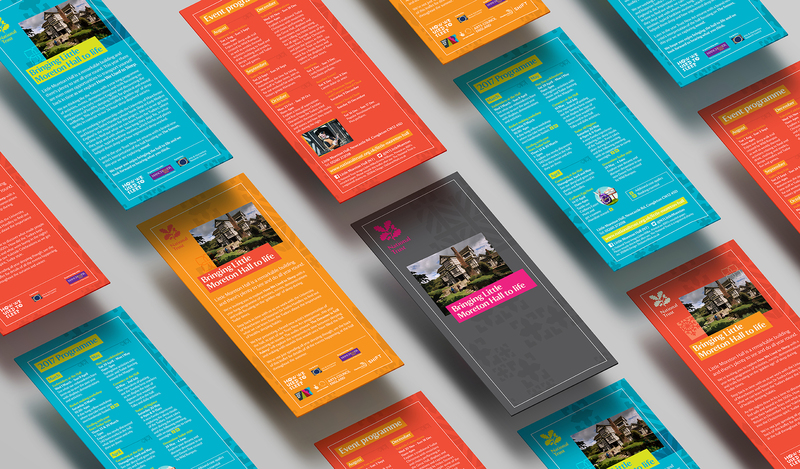 Graphics inspired by the tudor architecture of the property were combined with the NT colour palette and typeface.